Here is yet another reason to consume balsamic vinegar, in addition to its being really tasty! Calories may have been blown a little out of proportion up until recently, but they still matter, especially if you’re having trouble with your weight. 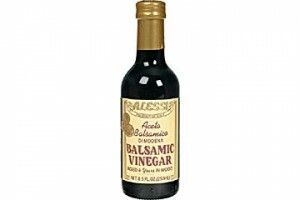 Fortunately, not only is balsamic vinegar delicious and versatile, it’s also low in calories. One tablespoon, which will go a long way towards dressing a salad or enriching a soup, weighs in at only 14 calories. So, one tablespoon of balsamic vinegar gets you all the health benefits that come with vinegar, adds a delicious flavor to your meals, and doesn’t pack on the pounds. That gets two thumbs up from us. Once again, this is taken from an article in The Alternative Daily.